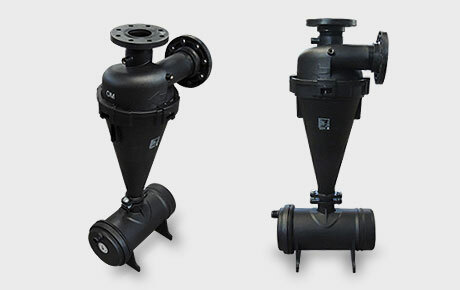 Used in micro irrigation systems to remove sand and silt particles from irrigation water. Coated with more than 70 micron thick deep blue coloured epoxy powder from both inside and outside surface for protection against corrosion and weather effects. 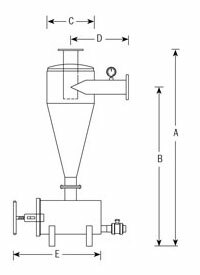 Efficiently removes fine sand and silt particles of size higher than 75 microns and specific gravity more than 2.65. Special protection plate are provided at the bottom of the cone to prevent wearing. Large volume of dirt collection chamber increases flushing interval. 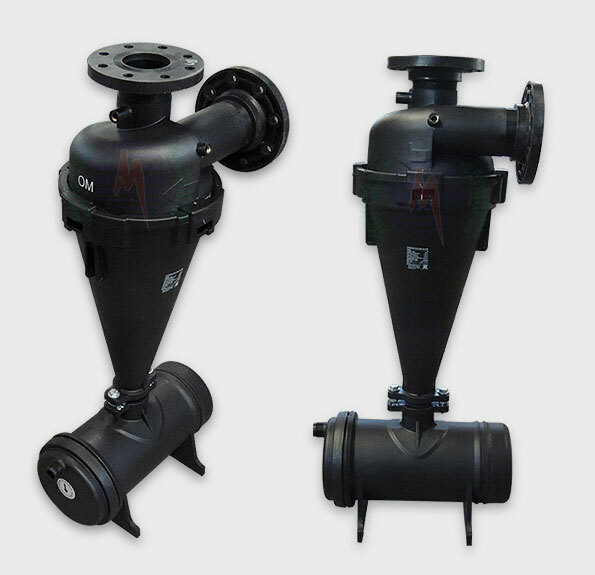 Dirt can be easily flushed out through dirt collection chamber. Available in maximum operating pressure of 10 kg/cm² (142 psi). Standard end connections are BSP flanged. Please specify for other end connections. (ANSI flanged or Easy-Fix™). Recommended to install before media/screen filters to remove particles heavier than water. Improves operational efficiency & life of media / screen filters. Can also be supplied in stainless steel as a special order. Can be supplied in higher flow capacities in multiple batteries option. * For detailed code please refer the ordering specifications.